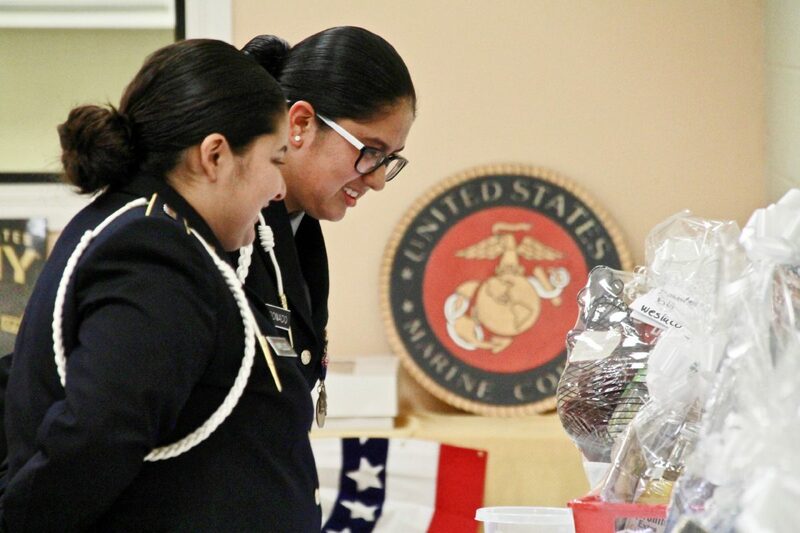 J. Edward Moreno | emoreno@themonitor.com Two students look at displays of fallen veterans at Laurita's Event Center in Weslaco on Saturday, Nov. 17, 2018. Lupita Perez, commander for district 18, said the need for a VFW chapter in Weslaco was brought to her attention by veterans who traveled to VFW meetings in Elsa or Donna. In the past, VFW chapters in Weslaco opened and eventually closed due to inactivity. Perez thinks this time will be different. “We don’t plan on leaving,” Perez said. J. Edward Moreno | emoreno@themonitor.com Hermania Calderon, aunt of Juan Calderon Jr. who died in Iraq in 2011, touches her nephew's image at Laurita's Event Center in Weslaco on Saturday, Nov. 17, 2018. J. Edward Moreno | emoreno@themonitor.com A family member of Juan Calderon Jr., who died in Iraq in 2011, at Laurita's Event Center in Weslaco on Saturday, Nov. 17, 2018. J. Edward Moreno | emoreno@themonitor.com A Weslaco veteran at a banquet marking the opening of a Veterans of Foreign Wars post in Weslaco at Laurita's Event Center on Saturday, Nov. 17, 2018. The district commander explained VFW posts serve as support systems for veterans, helping them get access to services not otherwise available to them. In several cases, she said, VFW posts have been able to fund entire funerals for fallen veterans, taking the financial burden off their families. 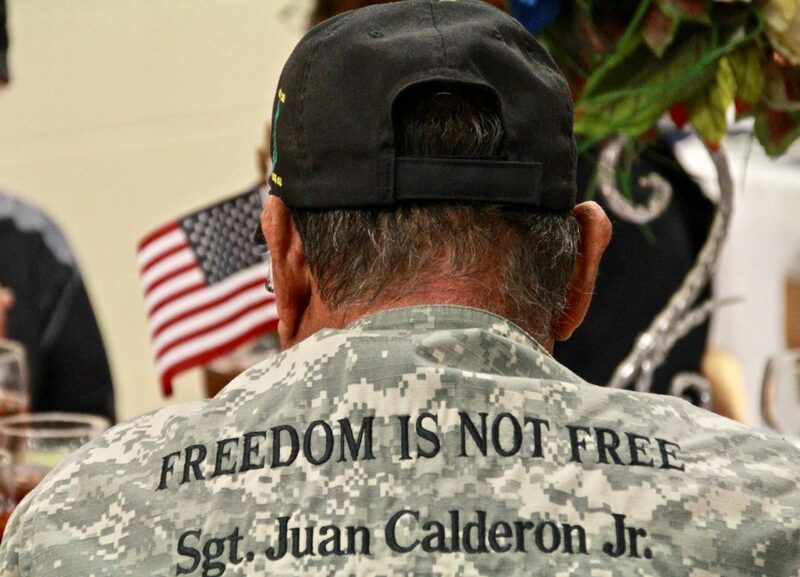 The new VFW chapter will honor two fallen veterans from Weslaco yet to be formally recognized: Juan Calderon Jr., who died in 2011 while deployed in Iraq; and Sam Dailey, who died in 1966 while stationed in Vietnam. 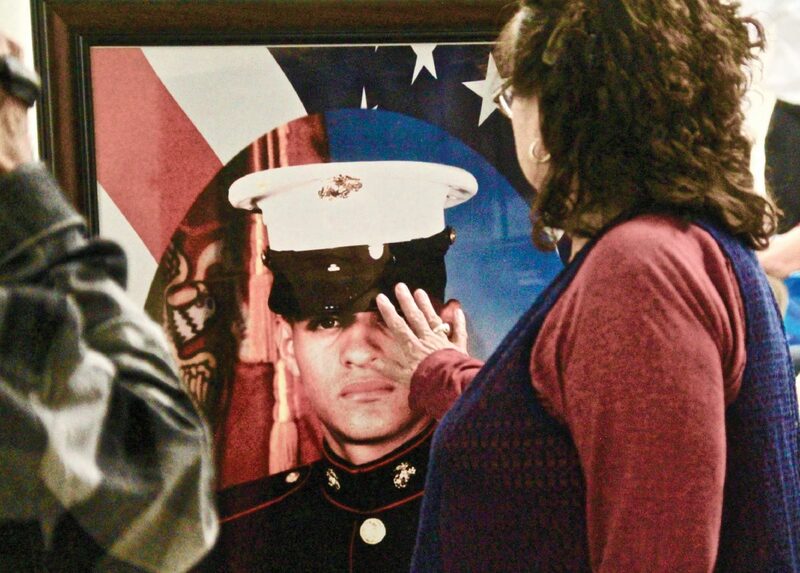 The families of both fallen veterans attend a banquet at Laurita’s Event Center in Weslaco. Herminia Calderon, the aunt of Juan Calderon Jr., helped set up the frame with her nephew’s image on it. The process made her emotional. 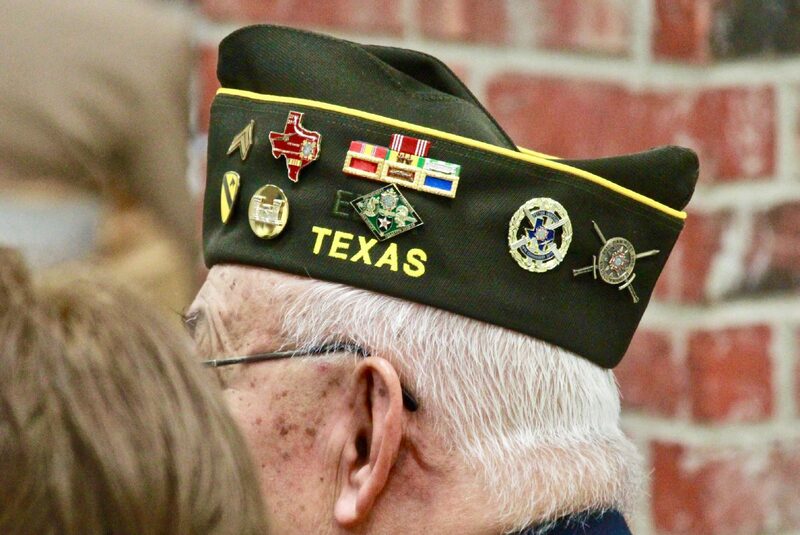 Weslaco Mayor David Suarez, a veteran himself, said the new VFW post is “long overdue,” and he hopes the organization’s presence will bring more access to services for veterans in his city. “We have a lot of veterans in Weslaco and they contribute a lot to our community,” Suarez said. About a year ago, a group of veterans approached Suarez with ideas on how the city could better serve them. The VFW post in Weslaco is the first of several ideas in the works, Suarez said.